A collection of music, liturgies, and prayer services designed for catechists and liturgists looking for something sound! GIA continues its commitment to children by providing music and rituals that celebrate the child. The double CD or cassette set contains music an assembly can sing-even an assembly with children. Robert Piercy and Vivian Williams, national leaders in the field of liturgy and catechetics, have compiled a collection that works in conjunction with the liturgical year. 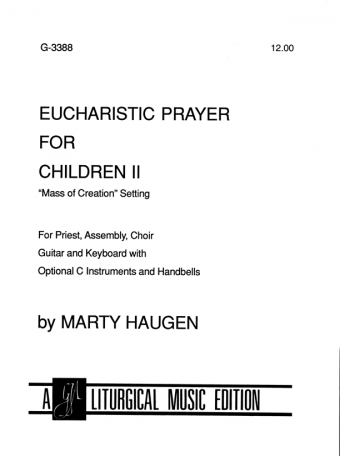 When Children Gather: 20 Eucharistic Liturgies for the School Year contains everything you need: Suggestions for music, citations from the sacramentary and lectionary, and alternative prayers appropriate for different ages. Special features include homily suggestions and mystagogy (time spent after liturgy) suggestions. Liturgies focus on such relevant topics as back to school, Advent, Holy Cross, Thanksgiving, Saints and Souls, and Missions. The second book, When Children Gather: 20 Prayer Services for the School Year contains shorter prayer services tied to the liturgical year. The double compact disc or cassette features music of David Haas, Marty Haugen, Rob Glover, Jeanne Cotter, John Bell, Donna Peña, and many others. All the music for the above 40 services can be found on this recording. The Full Score contains lyrics, guitar chords and accompaniments for all the music on the recording. Many times the accompaniment is simplified so that students may play the music. There is also a Student Melody Book available at an affordable price. You've been asking for it and GIA is happy to provide this resource-the first of many!